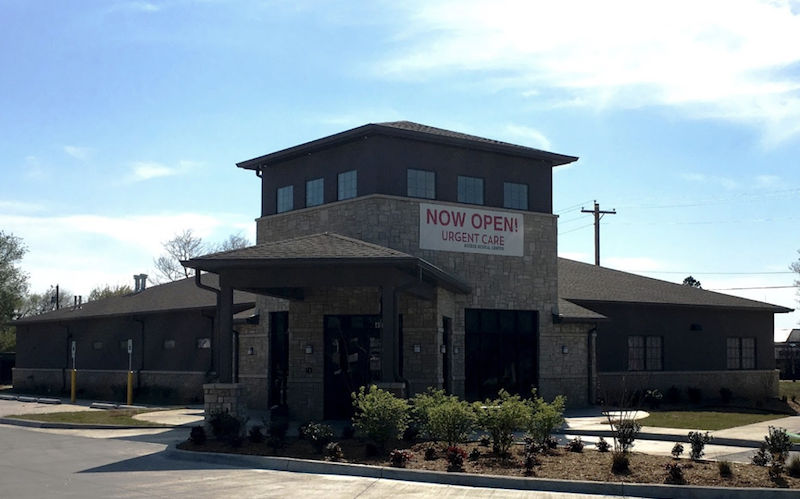 Recognized favorably amongst their patients, Access Medical Centers, Tulsa (E 81st) has an average rating of 4.8 stars out of 5 based on 685 total ratings. I was in and out in no time but by no means did I feel rushed or that any of my questions went unanswered. The staff was thorough, friendly and put me at ease. I know I’m very grateful, along with multiple co-workers, for the awesome staff and facility so close to our job! The staff was very compassionate and knowledgeable. Zak and the nurse were very friendly! The quickest urgent care in the world! The receptionist Kayla was kind, welcoming & well versed in insurance. I regret that I can't remember the nurse's name but she was amazing. She was very thorough in her history taking, she was very compassionate during the X-rays & overall very competent & kind. Rachel, PA, had a very calming bedside manner & was thorough in her exam & discharge instructions. I was very satisfied with my entire experience at your facility, but honestly the excellent staff is what made the experience exceptional! Please tell all 3 of them that their compassion & commitment to patient care is greatly appreciated! The people were very nice and fast! They attended to my burns very quickly and kindly. Very friendly people! I was in and out in less than 30 minutes! They even redressed my open wounds! My only complaint was that when redressing the open wound, I had asked not to put a sticky band aid on the burned skin (as water pressure had caused skin to tear earlier) but the nurse attending had said it was gentle enough to put on my skin. When I was changing it later this evening, the bandage removed skin everywhere there was adhesive, leaving an area of raw skin in the shape of a rectangle. Other than that, the care was fabulous. I will still be coming back regardless of this. Staff are always so courteous and caring! We truly appreciate the quality of care our family receives here! The doctor had a great bedside manner and was so helpful in explaining everything . I would definitely recommend them if you’re unable to get in with your GP right away. Wait time was not long. Process was fast and stafg was friendly. This will be my to go to clinic from now on. Everyone was professional. My wait time was not bad and the nurse that asked me my basic health issues was very kind. The P.A that attended to me was direct and efficient. Front desk could use a lesson on customer service. Another patient was taken back for us that arrived after us. MA was sweet and efficient. Dan the PA was professional and courteous. Loved his bedside manner..
Staff and service was great just took a long time considering there was only one person in front of us. Other than that amazing. Very friendly staff. They need better trash cans. The poor nurse used it a lot and it was hard for her to get open. Everybody was very attentive and friendly! Staff & doctor great again! Was my second trip in three days & received outstanding care & service again! Staff even remembered me which was Nice! Highly recommend. Thanks for the great care & service. My family no longer dreads going to doctor.